Soacha is located on the outskirts of Bogotá and has some of the highest rates of inequality and marginalization in the country. Many of its inhabitants moved to Soacha after experiencing forced displacement from other parts of the country. These migrants live in extreme poverty and experience problems such as overcrowding and domestic abuse. Only 42% have completed primary education, while 34% have completed secondary education. 12% of the population is illiterate. According to a recent study, the major problems affecting young people are associated with drug abuse, domestic violence, and gang recruitment. Gangs, drug traffickers and guerrilla groups have a growing presence in Soacha’s schools, causing them to become security threats rather than learning environments. Intra-school violence, including against teachers and other types of aggression are increasingly common. The strong presence of criminal groups and the lack of opportunities make Soacha a particularly difficult environment for young people, leading to feelings of frustration and hopelessness. Young people in these schools often face the difficult choice of submitting to the pressure to join such groups or risking their physical and emotional well-being by confronting them. Tiempo de Juego (TJ) was founded in 2006 by Andrés Wiesner while doing his thesis in journalism, documenting the dire situation in Soacha (outside Bogota), particularly the phenomenon of gangs. TJ provides young people in Soacha and the surrounding area with positive ways to occupy their free time, as well as tools to counteract the negative environment in which they live. TJ works with young people from vulnerable communities to develop strategies that benefit them and build community capacity. The organization uses the Soccer for Hope methodology, which it has been replicated in other sports such as basketball, table tennis, and baseball, in artistic and cultural activities and more recently, in schools. Through these programs, TJ promotes open dialogue, peaceful conflict resolution, coexistence, and social inclusion, combating the presence of gangs, drug traffickers and guerrilla groups in schools, and the resulting intra-school violence. TJ also offers youth ages 16-19 the opportunity to participate in the GOL program, which prepares them for work and provides vocational training in areas such as technology, art, baking, and film. EMpower’s 5th grant to Tiempo de Juego would support replication of its successful “Schools in Action” Program in two new Colombian geographies, Santa Marta (Caribbean Coast) and Timbiquí (Cauca), while continuing to implement the program in Soacha (outskirts of Bogota), Colombia. In total, Tiempo de Juego would train 90 teachers in nine schools in its Social Cohesion Methodology, benefiting 2250 students. Where is Fundación Tiempo de Juego? Grants totaling $384,500 approved at EMpower’s Fall Grants Meeting in London! 8th Round Spark & Ignite Award Winners Announced! 7th Spark and Ignite Award Winners Announced! 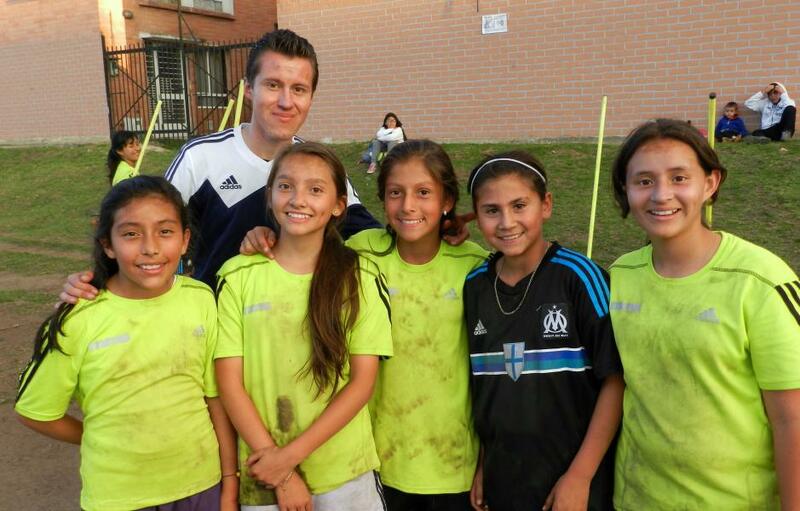 You can support our work with Fundación Tiempo de Juego and our other grantee partners.